Click the Google button above for an inside preview! 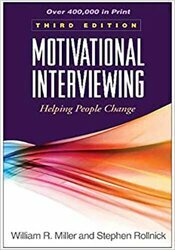 This is the authoritative, bestselling guide that professionals and students turn to for a complete introduction to motivational interviewing (MI), the powerful approach to facilitating change. The book elucidates the four processes of MI – engaging, focusing, evoking, and planning – and vividly demonstrates what they look like in action. A wealth of vignettes and interview examples illustrate the "dos and don’ts" of successful implementation in diverse contexts. Highly accessible, the book is infused with respect and compassion for clients. The companion Web page provides additional helpful resources, including reflection questions, an extended bibliography, and annotated case material. Stephen Rollnick, Ph.D., is a clinical psychologist and a co-founder of Motivational Interviewing (MI), as well as a co-founder of the Motivational Interviewing Network of Trainers (MINT). He developed many of the founding principles and strategies of MI. Dr. Rollnick is an Honorary Distinguished Professor at the School of Medicine, Cardiff University, Wales. 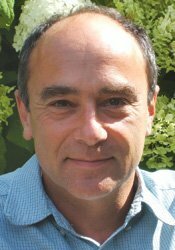 He has also worked for many years as a clinical psychologist in the British National Health Service. With a background in the addiction field, his interest turned to consultations about behavioral change in wider mental health & healthcare practice, where practitioners try to encourage clients to change their lifestyle and use of medication. He is the author of numerous books on MI, has just finished one for school teachers and is working on ones for sports coaches. Dr. Rollnick’s work is focused on training practitioners and examining the use of MI in a range of clinical settings. He has trained practitioners in many countries and continents, and has published a wide range of research papers, articles and books. William R. Miller, PhD, is Emeritus Distinguished Professor of Psychology and Psychiatry at the University of New Mexico, where he joined the faculty in 1976. He served as Director of Clinical Training for UNM's American Psychological Association-approved doctoral program in clinical psychology and as Codirector of UNM s Center on Alcoholism, Substance Abuse, and Addictions. Dr. Miller s publications include 35 books and more than 400 articles and chapters. He introduced the concept of motivational interviewing in a 1983 article. The Institute for Scientific Information names him as one of the world's most cited scientists.